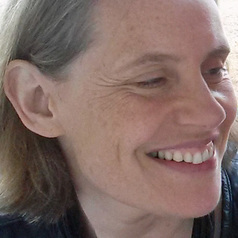 Kasia Boddy is a Lecturer in American Literature at Cambridge University and a Fellow of Fitzwilliam College. Her teaching and research focus primarily on American literary and cultural history. One strand considers the perpetual back and forth between short and long fictional forms. Now working on a book on the idea of the Great American Novel, she has published extensively on short fiction, including The American Short Story since 1950 (2010), and has edited or co-edited several anthologies, including The New Penguin Book of American Short Stories (2011). She is also interested in exploring the imaginative resources offered by activities such as sport and horticulture, which have become ubiquitous to the point of saturation in modern life, but which for the most part enter only obliquely into literature. Boxing: A Cultural History (2008) and Geranium (2013) consider the often incidental representation in literature of events, activities, and objects whose meaning and value are far from stable.